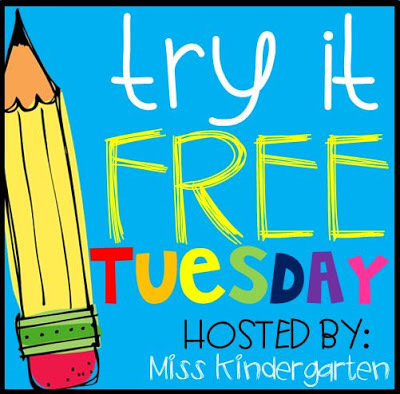 Try It Free Tuesday and Some New Teacher Tips! Each week she features a couple of authors who contribute a free (regularly priced item) for her readers to download and try for free!!! Great right? I know I’ve already tried some fabulous activities. So this week, it’s my turn. 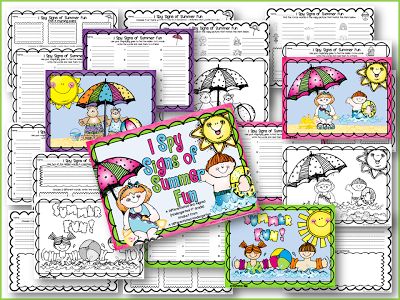 I decided to give everyone, who hasn’t already tried one yet, to snag my I-Spy Signs of Summer Word Work Fun Pack. I am excited about this one, because it is one of my newer packs that allows you to print off in black and white to save you using up all your precious colored ink. This one is differentiated and aligned and words on CVC, CVCC/CVCC as well as CVCe words. I have tons of other I-Spy packets like this that allow your kiddos to practice letter recognition, number recognition, addition, subtraction…you name it. So go over and grab this free item and try it for FREE just for today though. You’re not going to want to miss out on the Freebielicious Summer Linky Party Week 2. Leslie Christian Hart Be prepared! Completely prepared! An have some back up activities for when something you’re trying just doesn’t turn out how you hoped. Christy Cowan Roth That you will have more paperwork to do than you ever thought possible! Heather Fears That I would never have enough time to do it all and I did not like grading as much as I thought! Traci Warmke Grange Give expectations for everything. Work, walking in the hallways, field trips, stations, etc. I plan to do better next year with this. Michelle Wiggins That they DON’T want you to be their friend!! They WANT you to be strict, have rules, and be fair! Erica Holloway Procedures, procedures, procedures…when they know what to do and how to do it, things run smoothly. When they don’t, watch out!! Karla Johnson Dealing with difficult parents. If I have to agree with so much of what is already stated above. The things that are going to help you survive that first hear are the same things that will make you successful any year that you teach. Have a good management plan! If you want to find out more about mine from last year, you can click on the picture below and even get some free classroom rules posters. Be prepared everyday. Be a professional. Have a plan. Routines and procedures are a must. In kindergarten, everything is new and different. Students need to be able to count on specific routines and procedures. That doesn’t mean that you can’t try new things, but remember that students thrive on knowing what your expectations are. Practice expectations and routines so that they become second nature. Know your students. It’s hard to do when they walk through the door that first day, but the quicker you can get to know your students, the faster you can start understanding their learning preferences, interests and personalities. The more you know, the more they’ll grow. If at all possible, try sending out a Student Inventory to your students’ parents in order to get a head start on knowing the little people you’ll be teaching this year. Grab this free one I made up if it can help you. Just click on the picture below. I think that’s enough to get you started. I would love to hear your ideas and suggestions for new teachers. You can either leave them below as a comment or link up. Head on over to Sharing Kindergarten to link up and find more new teacher tips. 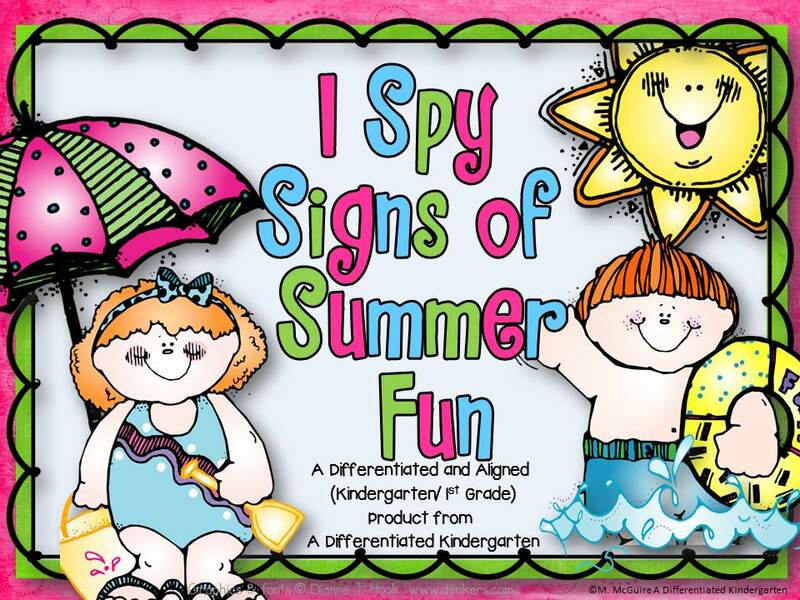 Thank you so much for sharing your Summer I-Spy today! I LOVE it! You have a real talent for creating quality, differentiated activities! I am a new teacher, but I linked up because I have learned a lot through subbing in a K-1 extended resource room and I am hoping to receive some comments from more experience teachers. I will begin my first teaching position as a resource teacher for grades 2-6 this fall. I am very nervous about the first week. You don’t learn that kind of stuff during student teaching or when you’re subbing. I will mainly be in regular ed classrooms, so I am kind of stuck on how my management plan is going to work. 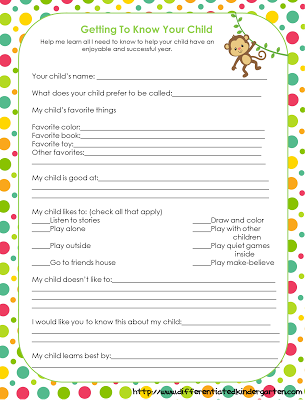 I have considered giving out caught being good cards to my resource students (most of them will be behavioral issues). When they get so many of them, they can come into my room and get a prize. I’m still thinking on how to work this out. I am a new follower! Thank you so much for sharing how you differentiate so effectively! Love the freebie! 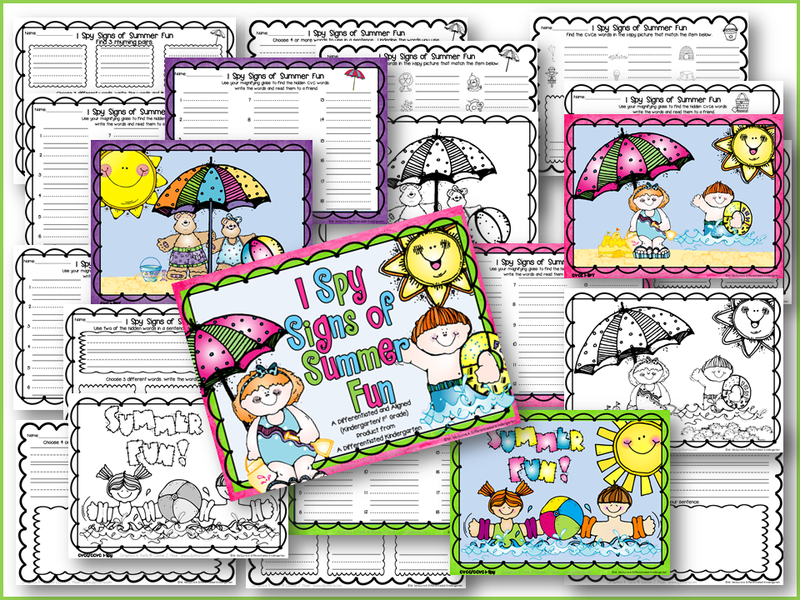 Marsha, thank you so much for sharing your “I Spy Signs of Summer” packet, I think the kids will love it. 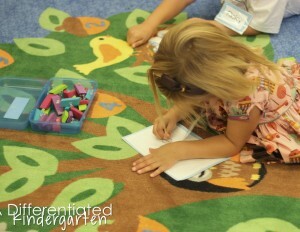 I found your blog through Miss Kindergarten’s blog, happy to be a new follower. Thank you for sharing your packet, but I am unable to save it, it says that I need a password to unlock it??? Thanks for sharing your great I-Spy activity! We did a few this year and my kiddos LOVED them! Thank you so much for sharing your great I-Spy Summer activity!!! I’m so excited and I know the kids will love it too! I got your great product from Miss Kindergarten and I can’t wait to use it next year. Thanks so much for sharing it! I am loving Hadar’s Try It Free Tuesday linky party idea! Thank you for sharing. 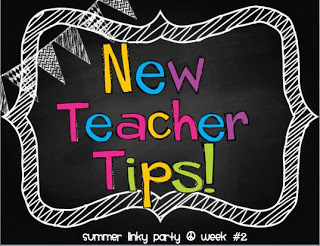 Also, thanks for sharing your amazing new teacher tips! I am finally getting my own classroom in Kinder next year and now I’m trying to organize everything to prepare for the first weeks of school!